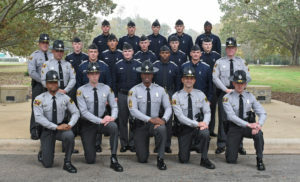 The State Highway Patrol proudly welcomed 14 new troopers at a graduation ceremony for the 146th Basic Highway Patrol School. The ceremony ended 15 weeks of demanding training preparing them for a fulfilling career of service to the state of North Carolina. The ceremony was held this morning (Friday) at the North Carolina State Bureau of Investigation Auditorium in Raleigh. The oath of office was administered by Associate Justice Cheri Beasley of the Supreme Court of North Carolina. Colonel G. M. McNeill Jr., the 27th Commander of the State Highway Patrol provided remarks to those in attendance. 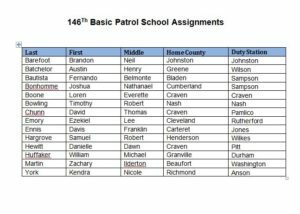 One of the 14 new troopers, Brandon Neil Barefoot, will be assigned to Johnston County. The cadets will report to their respective duty stations on Wednesday, December 5th to begin a demanding field training program.